We've finally found the dream wedding: one that not only pampers brides and grooms, but their pups as well! 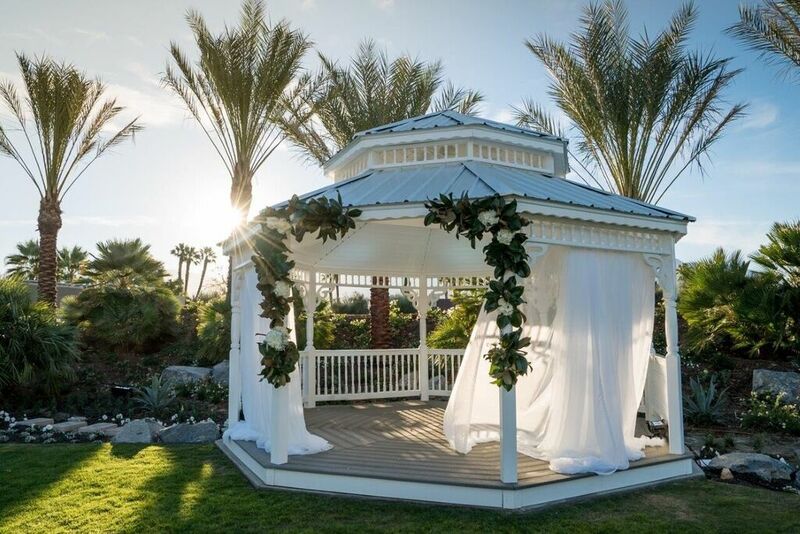 The Westin Mission Hills Golf Resort & Spa, located in Rancho Mirage, California, has officially launched their new Tuxes & Tails LGBTQ wedding package. This awesome package is fabulously pup-friendly, making sure that all "pups of honour" are just as prepared for the big day as their parents are. The perks of the package include a pampered pooch styling session, so that Fido or Bitsy can look gorgeous for their big walk down the aisle! Meanwhile, the brides or grooms can enjoy a day of pampering themselves, which includes a romantic 50 minute couples massage and couple's soak, complete with rose petals and candlelight. When the parents reunite with their pooches, all of them are sure to feel as relaxed and beautiful as possible! This fantastic package comes at no surprise, since The Westin Mission Hills is one of the best pet-friendly hotels in the area. Since 2015, The Westin Mission Hills has run a fabulous Adopt-A-Pet program in partnership with Animal Samaritans, while the hotel's volunteer Dog Samaritan team helps to find permanent homes for dogs by hosting individual pups until they are adopted. As if that wasn't enough, dogs staying at The Westin can lounge on luxurious Westin Heavenly Dog Beds, or enjoy the hotel's Patio Pooch menu which includes goodies such as Canine Chicken Casserole and Shelbie's Favorite Treat. No wedding day is complete without your best friends present. The Westin Mission Hills' Tuxes and Tails package makes sure that no one is left out, whether you are a man, woman, or pup! Should You Scrap the Table Scraps?